Design existed from the beginning of human civilization. Design is not just an art, but also has the ability to communicate. Do you want to communicate your brand and make your own "civilization"? If so, feel free to send me a message..
"Pradhani was responsive, professional, and made some stunning designs for our project. 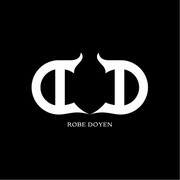 I highly recommend this designer!" "We enjoyed working with the designer. He is creative and his design stands out. We requested several changes to the logo and he understood immediately what we were looking for. He did an amazing job. Gladly recommend his creative skills. " "Thank you for the design it turned out great!!" 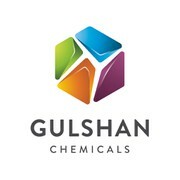 "Dhani designed a great new logo for our chemical company. He understood the brief well and incorporated all the elements we'd suggested using for the design. His design has given our company some overdue freshness! He is very responsive and a pleasure t..."
"Excellent! Delivered on time and to spec." "Had a logo redesigned and it was done exactly as anticipated!" "Excellence in design. Pradhani has won several of our contests. He is focused, deeply thoughtful and works with our team very well. He listens to our suggestions and implements with precision. Pradhani is an invaluable source of creativity. We highly re..."
"Pradhani is an excellent designer! He exceeded our expectations and is very easy to work with. His response time is almost immediate. He goes above and beyond to please. We highly recommend him as one of the top designers we have worked with. Thank you ..."
"Thank you Evo21 for your excellent piece of work! Your creativity and eyes for details shows you are a true professional and I would highly recommend to my colleagues. Keep up the good work, and thanks again." "evo21 is a very talented designer who really pays attention to the brief and requested revisions. His service was timely and excellent. It was a real pleasure to work with him. I'm thrilled with our logo! Michelle Gentis of Team Joshua"
"Working with evo21 in this contest was a great experience. He produced highly professional designes and responded extremely quickly on any modification requests. " "Congratulations, Evo21! You have done an outstanding job right from the beginning and has surpassed by far my expectation when you have conceived the beautiful art design! You are a great designer! I am very happy with your work and creativity. And th..."
"Great designer to work with. Will definitely consider him for future projects." "Superb work, amazing talent! Pradhani did a great job depicting exactly what we were looking for! As a software developer company in the movie business, design and appearance play a huge role in how we want to market our software. He truly took us all ..."
"Good work happy to recommend. " "Great designer, and even provided several changes both during and after the competition. Good communication when asked questions. 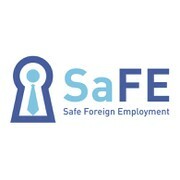 Excellent to work with!" "Provider was extremely professional in every way. Did an outstanding job with the quality of work and was also very creative and did lots of thinking! Hope to work with him again in future!"